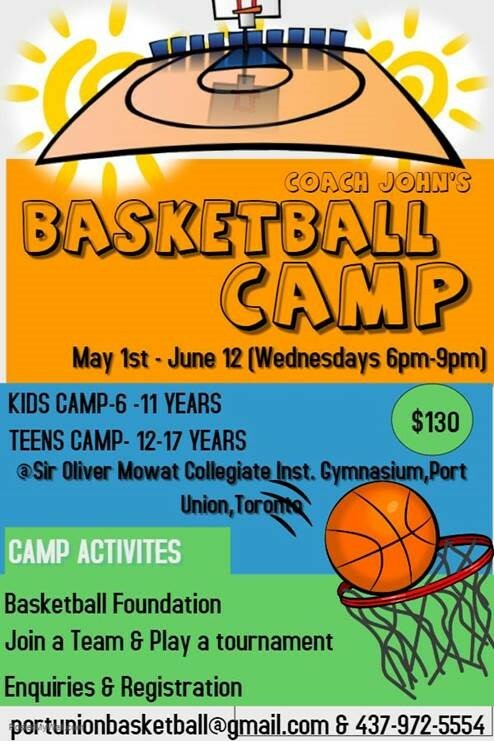 Hi am Coach John, ex professional basketball player and currently coach with the city of Toronto at various communities and several Toronto community recreation programs. Am putting up a Basketball Camp that promises to be an experience of a life time for those new to basketball and those already playing. It will fast track skills development over the 8 weeks Wednesdays program. — at Sir Oliver Mowat Collegiate Institute.